Heather Hurlburt is the director of the New Models of Policy Change project at New America's Political Reform program. Hurlburt leads research into how policy advocacy can adapt to be effective in our current environment of intense political polarization and guides advocates and funders seeking to navigate politics effectively on behalf of policy solutions on issues such as national security and climate change. Hurlburt is a contributor to New York Magazine; has published articles in Politico, Foreign Affairs, The National Interest, Fortune, Vox, and Time, among other publications. She co-hosts the Drezburt podcast and frequently appears in print and broadcast media. Previously, she ran the National Security Network, a premier source for internationalist foreign policy messaging and advocacy, held senior positions in the White House and State Department under President Bill Clinton, and worked on Capitol Hill and for the International Crisis Group. She holds degrees from Brown and George Washington Universities. Dr. Robert Zuber is director of UN-based Global Action to Prevent War and Armed Conflict where he directs a team of researchers, advocates and policy interns monitoring all facets of the UN's work on security, development and human rights policy. He and Global Action have also been honored to participate directly in the program work of an array of hopeful initiatives including Green Map System, Global Connections Television, the Peace Angels Project, the Martin Luther King Jr. Center (Cameroon), SIGLO XXIII (El Salvador), Instituto Mora (Mexico) and two US chapters of Women in International Security. Based in Harlem, New York and with graduate degrees from Yale and Columbia Universities, he has written and spoken extensively on peacekeeping, Security Council reform, small arms and arms trade issues, and various other human security concerns. He has also co-organized seminars and conferences in over 30 countries on topics from atrocity crime prevention and the impact of arms proliferation on development to ensuring the full participation of women and others traditionally excluded from security conversations and peace processes based on geography, ethnicity or social class. 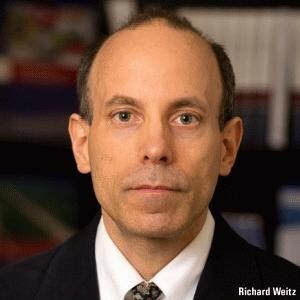 Richard Weitz is Senior Fellow and Director of the Center for Political-Military Analysis at HudsonInstitute. His current research includes regional security developments relating to Europe, Eurasia, andEast Asia as well as U.S. foreign and defense policies. Dr. Weitz is also an Expert at Wikistrat. The U.S. Civil Society Working Group on Women, Peace, and Security (CSWG) is a network of experts, NGOs, and academics with years of experience working on issues involving women, war, and peace. Inspired by and building upon the international Women, Peace, and Security agenda, the CSWG informs, promotes, facilitates, and monitors the meaningful implementation of the U.S. National Action Plan on Women, Peace, and Security. 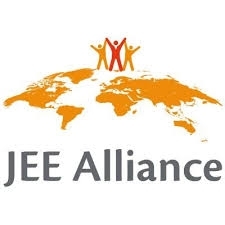 The main purpose of the Alliance is to serve as a platform for discussion and exchange of views and experiences among partners to facilitate engagement between countries and other relevant organizations and stakeholders involved in building health security across different sectors implementing the One Health approach. WAND builds women's political power to advocate for security and peace with justice. We believe that women are central to shifting the militarized, patriarchal culture that pervades our society and leads to endless war and violence. The Stimson Center is a nonpartisan policy research center working to solve the world's greatest threats to security and prosperity. "Ploughshares Fund helps make the world more safe and secure.” It’s a simple sentence, but it's supported by complex work. Global Health Security Agenda Consortium is a voluntary and open collective of nongovernmental entities who are dedicated to promote values of collaboration, excellence, innovation, and commitment in implementing the Global Health Security Agenda. We engage, build, and amplify an international community of young, dynamic, diverse leaders from all sectors to accelerate their impact on critical global challenges. 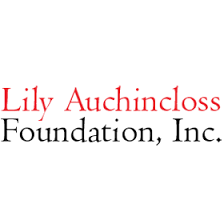 Dedicated to the enhancement of the quality of life in New York City. 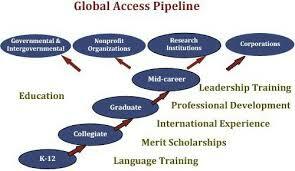 The Global Access Pipeline (GAP) project is a consortium that provides a “pipeline” for the underrepresented to achieve leadership positions in international affairs across governmental, non-profit and private sectors in the United States.